The last concerts in Slovenia and Croatia are finished too. 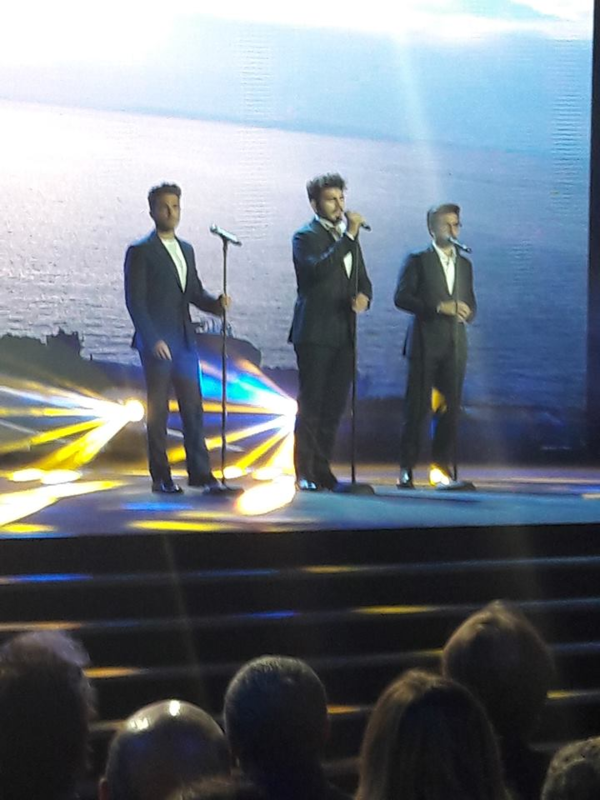 IL VOLO has been very applauded. Everywhere they have been admired for bravura, modesty and kindness. And this is the tweet of the U.S. Ambassador in Zagreb. IL VOLO will be back in the race at SANREMO !!!!! Here is the moment of public news on television. And this is the moment when the boys, at the end of the concert in Croatia, have become aware of their presence in Sanremo. P = Hello everyone, we just finished a concert and we wanted to give you great news. I = We have just learned that we too will be in Sanremo this year. G = It will be the best way to celebrate our 10 years of career, returning to sing just in Sanremo, in the stage that saw us born. P = Hello Claudio, see you in Sanremo. Il Volo will be back in Sanremo, but not as guests, as COMPETITORS, they will do the whole race, will suffer criticism, the votes from home and jurors, in short, a real race like almost 4 years ago. My God, what have these 3 guys thought about doing? If the result is not positive, they will be very criticized …. but they are already very used to this thing. We have to say that they deserve all our esteem, just because they will redo the whole race. They could avoid, because they are already famous, and certainly it is much more comfortable being in cotton ……. but NO, they love the risk and we, volovers of the whole world, we must give them all our support. They will be hard days, exciting, tense, but if they succeed in repeating the success, they would open the streets again for Eurovision. If you are worried, because participating in Sanremo would mean that they will not make the US tour, my opinion is that you can rest assured, Sanremo will be from 5 to 9 February and Torpedine said the tour will start at Radio City Music Hall in March. I do not think the program will change. Their song will surely be a pop-opera song, the title MUSICA CHE RESTA means “A music that remains” that you will not forget! And we hope it’s really like that, I wish them with all my heart. Good luck, guys, you deserve all the possible success! Thank you for this post and all the information it contained. Much appreciated! Thanks to you Anna, glad you liked it. All my best to Il Volo in Sanremo! It is always a matter of challenging the status quo, and moving forward in the music business. If the guys would say,”We are famous and don’t need to do this,” they would risk becoming complacent and stale. I for one am thankful that this is not their attitude. They are concerned about excellence and the audience appreciates and responds to that in a very positive manner. Jeanette, they risk a lot, but full respect for this, and for the rest, we keep our fingers crossed. Daniela are there any comments from their former critics? I am like a grandmother worrying that they might get hurt if things do not go well in San Remo. I would love to see them again in Eurovision. Is the list of who is participating out? Thanks for keeping us informed. Thank you. I will look for it. Gina, unfortunately, the critics are not very soft with them. Some have changed their minds, but there is still a lot of resistance towards them. The list of participants in Sanremo has attached Pat, as you can see there is once again Nek ……. this is an obsession !! Eleanor, you’re absolutely right, I do not understand what the critics find wrong in them, they are good, well educated, well dressed, bearers of healthy moral values ​​……. sometimes I think it’s a plan to discredit them. Daniela I do not see Nek as one that might go to Eurovision and win. I think it is time for Italy to win and host the next Eurovision. Very expensive and maybe Italy does not want that much work and expense. Gina, I would very much like IL VOLO to go to Eurovision once again, they deserve this, and now they are even more popular with the foreign public, but the problem is always the jury. In 2017 Sanremo was won by Gabbani, here in Italy he was very supportive, in RAI they thought that he won the Eurovision, nothing more wrong. Nek, he has some good songs, but he must learn to be more humble, even now he has declared “they will find me ready” ……… and then to our boys here in Italy they say they are not humble …. that error !! If they win San Remo, it means they will be in Israel in May. Which means that the US tour will not be very long. 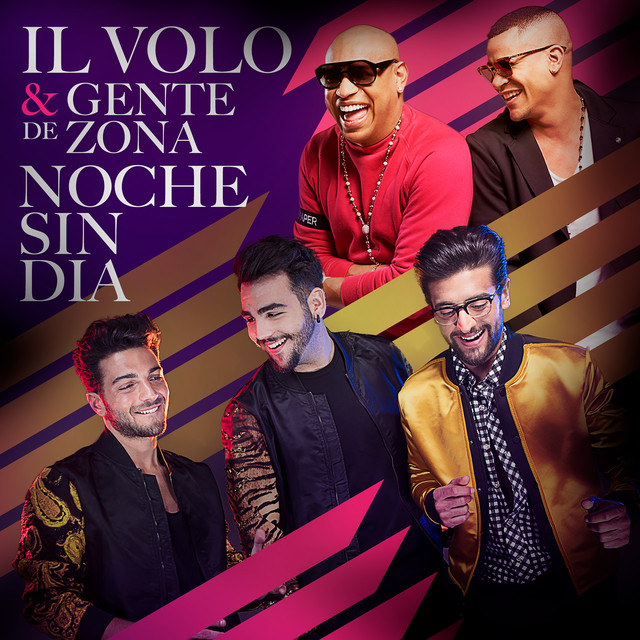 Penina, in 2016 IL VOLO made 35 concerts in the US in two months February and March. The times are there, our friends love to fly !! However it may be the reason why they have not yet announced the dates. Yes, Daniella, they had a big tour in a short time and really exhausted themselves by doing so. I think they learned from that tour not to do so many concerts in a short time, and their next tour was much shorter and more spread out. Plus the fact that the younger you are the more energy you have! Daniela, who decides which artists can perform at Sanremo? Are they nominated under certain criteria, do they have to make application, or is it a matter of general popularity and exposure? Just curious how it works. Can artists from other countries compete as well? Thanks. Mark, I’ll answer you in order. The singers submit the application for admission to Sanremo. The race director (this year Baglioni) listens to the songs and selects them to admit them. New songs are admitted that are of different genre, so as to please all tastes. The rules may slightly change from year to year at the discretion of the referee. This year the BIG singers (that is already known) in the competition, will be 22 to which are added two singers new proposals that have won the selection that has just ended before Christmas and during which the names of the 22 big names have been announced to the race (among which IL VOLO). The past years, but a long time ago, also foreign singers participated, but at that time, the race included the same song sung by an Italian and then by a foreigner, as I remind you that the singer does not win, but the song and so he thought that the same song performed in different ways could have more feedback. In 2008 Sanremo won the couple Di Tonno and Lola Ponce (she is Spanish), but I think the song must be strictly Italian because Sanremo is the “festival of Italian song”. I am attaching a video of 1968 of the song that you will know because it is often sung by IL VOLO, it is CANZONE PER TE that in that Sanremo was sung by Endrigo (who is the author) and also by Roberto Carlos (Brazilian singer) and has won the execution of Endrigo. Thanks for the insightful explanation/video and in my opinion, IL Volo perfected Canzone Per Te, but then, you probably could have predicted I would say that. I’m a little partial, in favor of the guys. All very interesting. It was predictable, Mark, but thanks for saying it all the same !! Happy that you liked the explanation. Along with all their other wonderful qualities, Piero, Ignazio and Gianluca are also courageous and willing to subject themselves to criticism and harsh reviews by those who do not like them. I don’t know how anyone could not love them, their great personalities and their beautiful voices! I seem to recall that in an interview after Sanremo, Ignazio and Gianluca thought it might not be a good idea and it was a risk to sing Grand Amore at Sanremo and not win. Of course, they were spectacular and did win! Margaret, I can not believe it myself. Our boys, represent the best in every respect and yet when I read some really bad comments, I can not understand this. I do not find it right or even correct, because it is clear that, they may like it or not, tastes are not discussed, but the skill is undeniable. just read now…. oh wow!…. I think its great that they are attempting Sanremo once more. It was exciting the first time and will be this time too. What I want to know now is: Any clue what North American ( including Canada) cities might be on the tour. ?… obvious guess is New York City for Radio City Hall..This pirate is saving her pennies, nickles, dimes quarters now! As soon as there’s news, I’ll tell you right away, Connie.